I remember having a brief chat with a left nationalist who argued that, in the context of a reference to Ireland, that there are degrees of national oppression. And so undoubtedly there is. What is demonstrated by the Scottish independence debate is that the measure of it, if it even exists, is very small. We know this because there is no real demand for change. What we have had are references to “bluff, bullying and bluster” by Alex Salmond over leaders of the Labour Party, Tories and Liberal Democrats, rejecting use of sterling by a new ‘independent’ state. But even here the essential nationalist case is not that Scotland is being told what it can and cannot do but that all this is bluff and bluster, a pure negotiating tactic and not meant to be taken seriously. Not strong grounds to claim oppression. A couple of arguments have been raised to demonstrate the national oppression of Scotland. These include the prevention of devolution after the 1979 referendum despite the nearly 52% yes vote on an almost 64% turnout. This was indeed a denial of national democratic rights. It was changed very quickly when the New Labour government of Tony Blair took office in 1997, a new referendum held within six months and the Scottish parliament set up two years later. It is claimed that Conservative Governments are elected in Britain without a mandate from Scotland. In the 1989 Euro elections Scotland became, for the first time at any elected level, a ‘Tory-free zone’ and in 1992 they were elected for a fourth term with just 25% of the Scottish vote. Yet governments are elected all the time in Britain without a majority of the vote. English and Welsh workers have suffered the depredations of Conservative Governments no less than Scottish workers and the Tories do not devise policies aimed specifically at the Scottish people. In 2010 the ‘no mandate’ argument became weaker when eleven Liberal Democrats joined the single Tory as Scottish representatives of the new ConDem Government. The referendum in itself, whatever its limitations, is a demonstration that Scotland has the right to self-determination and can exercise this right. In this exercise there is no question of nationalists having to face questions of oppression – of the national language; the teaching of Scottish history; the right to fly the Scottish flag; discrimination in employment in favour of English colonists; the mass arrest and detention without trial of political opponents; of English police or an English army called in to police demonstrations or protests; the widespread inflicting of torture on political opponents; the shooting of demonstrators demanding civil rights or the creation of armed gangs to intimidate and terrorise those demanding independence. If there were any of these or anything like it the referendum debate would be very different; not only the terms of the debate but also the methods of struggle. The exploitation and oppression that does exist has been displaced and subsumed within a debate within which they cannot be clearly articulated, at least with any honesty, and certainly with any perspective that provides solutions. Solutions to unemployment and poverty; to chronic insecurity and stress; to ignorance and powerlessness cannot be found in any nationalist programme, either left or right. They arise from the nature of the economic system not the nationality of the state apparatus that presides over it. Class grievances are portrayed as those of a people, of Scots against ‘London’ or the ‘British state. Through nationalism the class exploitation of workers either disappears or is rendered secondary to the more immediate demand for national ‘freedom’. As I have said before such ‘freedom’ does not exist; there are always restrictions and external limitations, which means that pursuit of it, which requires that the demands of workers are postponed, means that they will always be postponed. Nationalism acts as a permanent brake on the aspirations of the working class. At a certain stage the true class character of nationalism becomes clearer when the new nation trumpets its cause as competitiveness with other nations in the battlefields of lower wages, lower business taxes and willing workers. Such at least has been the Irish experience. So Scotland is not an oppressed nation but ironically it is nationalism that has the potential to take it in such a direction and the referendum debate has demonstrated how. Alex Salmond has made much of the “bluff, bullying and bluster” coming from leaders of the Labour Party, Tories and Liberal Democrats. But these parties are very aware that they cannot engage in too open a form of bullying because it has the potential to alienate voters and upset the legitimacy of the state they seek to rule. So their bullying has limits. A separated Scotland would provide less restrictions. Salmond has portrayed all the decisions that will arise from separation, such as sharing the pound sterling and financial regulation, as ones that will be easily agreed to his satisfaction but in such negotiations the UK state has no reason not to flex its muscles with the smaller state. Such actions by the UK state would, within Scotland, no doubt strengthen SNP nationalism and scotch the illusions of the left that after independence nationalism would suddenly dissipate to be replaced by a left-right divide. Real bullying by the UK state would feed Scottish nationalism and further its growth within the Scottish working class while increasing the divisions between Scottish, English and Welsh workers. So the rump British state would have every reason to want Scotland to use sterling but enough reasonable arguments to place more or less onerous conditions on Scotland in order for it to happen. It is well known that currency union must involve severe limits on monetary policy within Scotland and there is no reason why the rest of Britain should consider Scotland’s interests as equal to that of England and Wales. If burdens have to be borne there is no reason to make them equitable. Scottish debt might find itself being owned by UK institutions demanding a premium from the new state and any new financial crisis arising within Bank of Scotland and RBS etc. would all too clearly demonstrate the respective powers of the two states. Financial regulation will also come from London and there is no reason why this regulation would be to the benefit of anyone other than the City of London except with nationalist hopes or assumptions that what is good for the City is good for Edinburgh – exactly the sort of attitude now so scorned by these Scottish nationalists. Only recently the BBC reports that the siting of Trident in Scotland is one of many areas that would be up for negotiation. Only a fool believes Salmond when he claims all these negotiations will give the SNP what they want in all of the issues, and he will be first to call out the fools when they complain about it after the negotiations are over. Those putting their names to the letter include former chief of the general staff General Sir Mike Jackson (he of Bloody Sunday), Admiral Lord West of Spithead, and former chief of the air staff, Air Chief Marshal Sir Peter Squire. This was followed up the next day by another political intervention, this time by a serving member of the top brass, Admiral Sir George Zambellas. How comforting is it to know that NATO will help secure the economic and social objectives of the new state? Whose security does NATO seek to protect? Why is the SNP not denouncing the political interference of the armed forces? Such a political intervention by those recently and currently in uniform portends the future pressure put on the new separated state should it seek to have its cake of being in NATO and eating it by frustrating its operation. Of course the British monarchy, with all its disguised powers, will also continue to preside over the newly separated state. So, while Scotland is not currently an oppressed nation, the law of unintended consequences might conceivably shift it in that direction. Just as Thatcher’s policies strained the bonds within the British state she so loudly championed so Scottish nationalists might deliver their separated state into a new partnership of subordination with the rest of Britain. But perhaps this doesn’t matter to the left nationalist case. After all as I noted right at the start, this case is based on the difference between Scotland and England and the view that socialism or moves towards it are more easily achieved through a separate state. I’ll turn to this in the next post. This should always be the case. The issue is how this might be achieved. It might be necessary in certain circumstances not only to champion the right of a nation to self-determination but also to advocate its exercise through separation. This will depend on the degree of national oppression and related to this (more importantly) whether the socialist movement would place itself outside of a real democratic struggle that dominated politics if it did not advocate separation (by so doing isolating itself from the working class). Even where this is the case the role of socialists would be to warn workers about the limits of national separation, whether called national liberation or not; to separately organise the working class under its own banner and prosecute the class struggle not only against imperialism but against native capitalism. Its role would be to draw out the class nature of working class oppression and exploitation and warn that nationalism has no solution to these. It would warn that a new capitalist state will not address working class needs, will not empower it but will be set up to enforce the power of the native capitalist class. None of this applies to Scotland. It does not suffer such national oppression and the Scottish working class has throughout its history fought its greatest class battles in unity with English and Welsh workers. 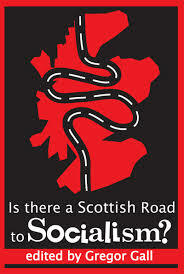 The nationalist left in Scotland has not prioritised workers unity or, as the two books under review have made clear, prioritised exposure and condemnation of Scottish nationalism and the future to be offered by a capitalist Scotland. What they have done is attempt to argue the priority of supposed national restrictions on Scottish workers and to conflate opposition to class oppression with that of the nation claiming ‘freedom’. The need to support separation because of national oppression, which I see as sometimes necessary, entails recognising the need for a retreat from a more open and clear class struggle against capitalism and should be the subject of bitter regret for socialists should they consider it necessary. 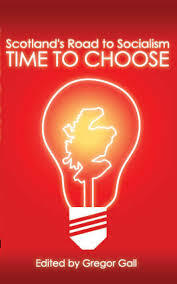 The opportunistic championing of Scottish nationalism by sections of the Scottish left is therefore doubly mistaken for it is assisting creation of the barriers to the fight for socialism and a united working class that they should be seeking to destroy. This entry was posted in Book Review, democracy, national self-determination, Nationalism, Scotland, Scottish Referendum and tagged Book Review, national self-determination, nationalism, Scotland, Scottish independence, Scottish referendum, socialist programme by irishmarxism. Bookmark the permalink. Marx’s support for Irish and Polish independence was not, as you say, primarily about ‘national oppression’ in those countries, but was rather mainly about anti-imperialism. In the case of Poland Marx urged support for Polish separation on the basis that it would undermine ‘the Gendarme of Europe’. In the case of Ireland the British empire -and therefore open the way fr national liberation movements throughout the empire. The commintern’s (and Lenin’s) preoccupation on national oppression was to do with ‘the colonial question’, that is, it is to do with Imperial possessions in what today would be called the third world. The Scottish case is sown up by the same concern that Marx had for anti-imperialism. Scotland is part of the U.S/European pivot and is therefore geologically important for the U.S imperial axis – the most powerful empire in world history. It’s important to remember the historical context for Marx’s support for some forms of nationalism. Capitalism and independent working class struggle were in their infancy in Europe in the middle of the 19th century. To clear the way for the development of Capitalism and the growth of working class struggle Marx was involved in nationalism and indeed shared some national assumptions. This does not mean we have to be uncritically of Marx. Marx did not have a general principle of self determination as you say,but probably his most influential critical support for nationalism was based on opposing national oppression in Ireland and Poland. And the right of self determination for oppressed nations has been important for the Leninist left in the 20th Century. Some sections of the left have used the arguments challenged above. Polish Nationalism in Marx’s time was not tied to Capitalist development,but he saw it as a barrier to reactionary Russia which he often saw in nationalist and even racist terms. German unity did not clear the way to national democratic revolution from below(1848) but was imposed from above under Prussian hegemony. The problem is that nationalist demands demands and forces, rather than clear the way to an alternative to Capitalism can destroy the alternative or channel any opposition in a safe direction.This was particularly the case in the 20th century and more importantly today as well. Nationalism is after all a bourgeois ideology and integral to Capitalist development. Self determination is a bourgeois demand and in the context of imperialism Utopian. In Neil Davidson’s opinion(Radical Philosophy) “it is of course true that an independent Scotland would still be dominated by Capital,much of it external in origin. But Neil will be voting for a Capitalist state in Scotland Mainly because for him it would make it more difficult for Britain to continue to play a war like imperialist role. Support for Scottish independence is therefore a means to an anti imperialist end. Yet the nationalism on offer from the SNP falls short of the break up of the British state and in any case any new state will be caught up in imperialism one way or another, How would a Scottish state strengthen the working class? This is a willfully ignorant article. First – the majority of the pro-independence Scottish left (who are the majority of the Scottish left period) make no claim that Scotland is an oppressed nation. Secondly, it is not the tradition of Marxism that national questions are settled by an analysis of national oppression. Marx himself supported numerous national struggles without any reference to this notion. The premise of this article is, therefore, doubly wrong – or at least doubly irrelevant. Reblogged this on the commune.